The only thing more depressing than working in an office with no windows is realizing that it was dark out when you got to work and when you left. Bright Blind won’t do anything about your crappy hours, but at least now you can pretend you have a window to climb out of when you need to escape the prison that is your job. Hang it in your cell cubical to brighten up the place with some artificial light. You can adjust the brightness by turning the plastic stick thingy that normally opens the blinds, except instead of letting in more sun it will just give off more light. 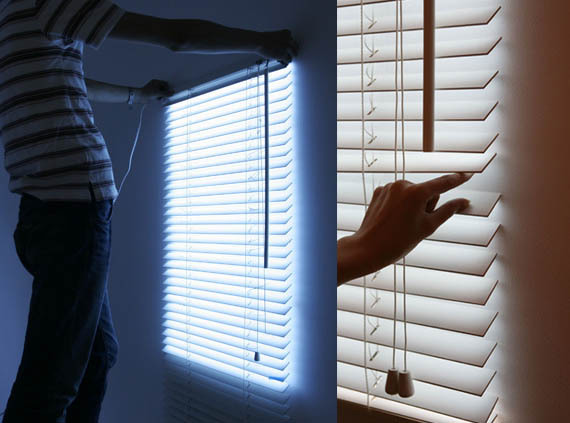 Bright Blinds are also perfect for paranoid shut-ins who board their windows or vampires with seasonal affective disorder.